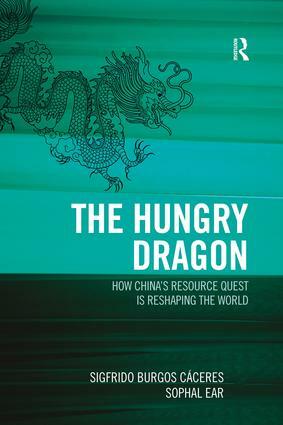 This volume provides an up to date and accessible examination of China's global search for resources, focusing primarily on oil. This focus provides a powerful rationale to explain China's actions overseas, as it impacts on economic, energy and foreign policies. A strong feature of the book is a comprehensive examination of geopolitical issues. Three country case studies (Angola, Brazil and Cambodia) are complemented by two chapters on opportunities and risks to China, and an examination as to how strategies are developed into tangible actions. This book also examines a number of overlapping debates regarding the varieties of capitalisms (autocratic vs. democratic), the urgent need for rebalancing as the world undergoes global crises, and the issues surrounding natural resources in the context of governance, liberal-oriented notions and poverty traps. The book is aimed at general as well as specialized readers and examines the subject in relation to international affairs, especially how the geopolitics of scarcity is driving states to be tenser, more observant of each other, and more acute to foreign initiatives.